This season marks the premiere of Konstantin’s transcription of R. Strauss’ Four Last Songs. Unveiled at L’Esprit du Piano Festival in Bordeaux, (France) Four Last Songs premiered in NYC’s Symphony Space at New York Chamber Music Festival. This season Konstantin appears with Johannesburg Philharmonic and Eastern Cape Philharmonic Orchestra as part of his South African tour as well as Miami Symphony Orchestra and Auburn Symphony Orchestra. Konstantin is named Artist in Residence at Music In The Mountains Festival in California. His debuts this season include Richmond Symphony Orchestra and Lyric Series in New York City. Career highlights include appearances with Westmoreland Symphony, Virginia Symphony and the Long Island Chamber Players, the Manchester Music Festival Orchestra and Asheville Symphony. Recital highlights are: Phillips Collection in Washington, DC, Chopin Society of Switzerland in Bern and London’s Wigmore Hall. Konstantin has worked with an array of distinguished conductors, among them: Daniel Meyer, Gérard Korsten, Eduardo Marturet, Rebecca Miller, James DePreist, Emmanuel Siffert, Jahja Ling, François-Xavier Roth, Doron Salomon, Timothy Muffitt, Conrad von Alphen, Michael Goodwin, Stephen Ramsey, Mary Woodmansee Green, Enrique Bátiz Campbell, Allan Stephenson, David Scarr, Omri Hadari, Andrew Grams, and Emil Tabakov. In 2013 Konstantin made his directorial debut as Assistant Music Director of the new opera “Magic Mirror” in Boston. Konstantin’s other theater appearances: narrator with Miami Symphony’s Musimelange performance Stravinsky’s “Soldier’s Tale”, “Forbidden Juilliard” as multiple characters at Juilliard School and Club Makkor in NYC and “Victor or Children in Power” as Young Victor at Moscow State Satire Theatre, Moscow. Konstantin stars as Pavel Sidorov in feature film “Dishonorable Vendetta“, directed by Andre Josef. His other film credits are “Decent Men” as Reinhard Heydrich, “Carbon Based” as Leibniz, “Hansel and Gretel” as Emil Von Kuhner and Photographer in “Pictures”. 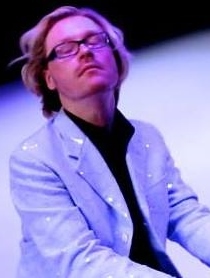 Konstantin is a producer and host of “Real Pianists of The Hamptons” – the first ever classical music reality show made at Pianofest in The Hamptons where Konstantin is Artist in Residence since 2011. He appeared on many television and radio interviews including NPR’s “Performance Today” with Fred Child. Konstantin is a board member of Southampton Cultural Center, NY, Hamptons Music Sessions, NY and has adjudicated competitions such as Piano Ohio, Hong Kong Music Association and Connecticut Piano Teacher’s Association. Konstantin is an alumnus of The Juilliard School where he has earned his BM, MM, and AD degrees under the tutelage of Jerome Lowenthal. Born in Moscow to a family of artists he studied at the Moscow Central Special Music School, under the auspices of the Moscow State Conservatory, with Anatoly Ryabov. Konstantin is a recipient of over 15 awards, including: Second Prize, 2011 Iowa International Piano Competition; Third Prize, 2011 Bosendorfer International Piano Competition; Second Prize and Audience Prize, 2010 Ima Hogg International Competition; First Prize and Audience Prize, 2007 New Orleans International Piano Competition; William Petschek Debut Recital Award; Paul & Daisy Soros Fellowship for New Americans; Second Prize, 2004 UNISA International Piano Competition in Pretoria, South Africa; Third Prize, 2003 Cleveland International Piano Competition; The Juilliard School’s Arthur Rubinstein Award; The Juilliard School’s 2003 Gina Bachauer Competition; First Prize, 2002 Hilton Head International Piano Competition; Second Prize, 2002 Walter W. Naumburg International Piano Competition. Konstantin is an Arts Global artist and is also represented by Manhattan Music Ensemble.